After a lovely weekend at Langkawi, monday seemed so horrible. Everything seemed to work out wrong for me! :( Putting everything aside I just sat down to post this recipe, hoping the rest of the day will be better. Fingers crossed! So absolutely no mood to type out much today! so going straight to the recipe! This easy cake is sure to be a hit with the kids! They will love it..........I know it uses a bit too much eggs, but the result is awesome. Really soft and moist just as we all like it! Add the orange tang, vanilla essence and milk powder. In another bowl, mix the flour, baking powder, and half the chocolate chips. grease a cake tin and line with butter paper. I used a springform pan. 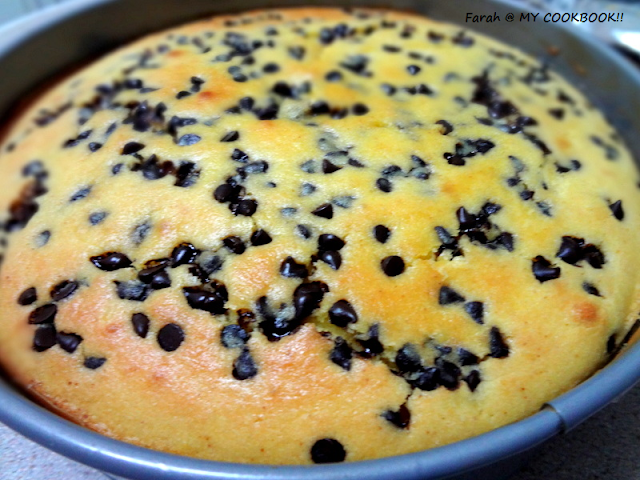 Pour the batter into the pan and sprinkle the rest of the choco chips on top. Bake for about 20 mins or till a tooth pick inserted comes out clean. 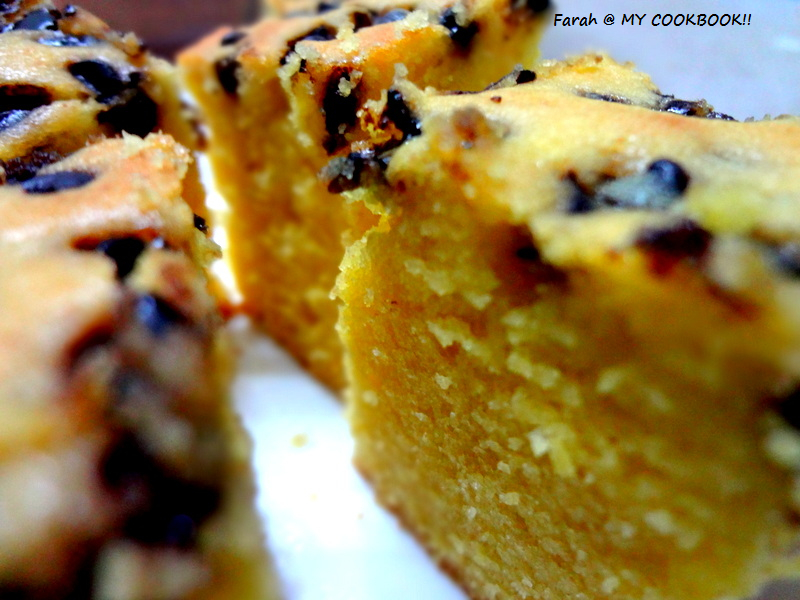 Love the very moist and soft orange cake with lovely chocolate chips...awesome combination!! Lovely for tea. Wow the cake looks so moist and irresistible. 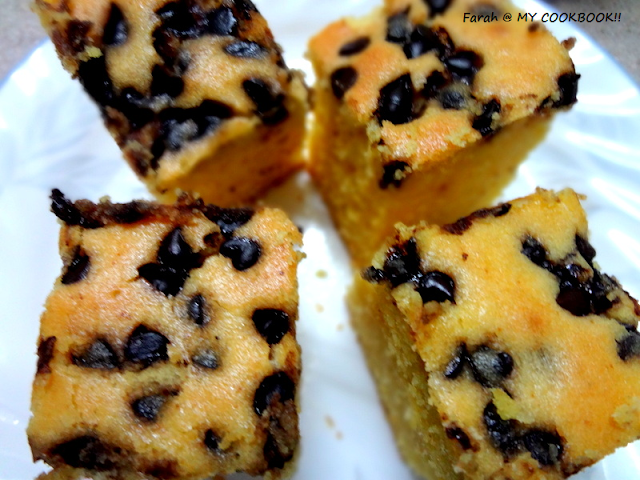 Choco chips orange cake looks so soft and delicious. 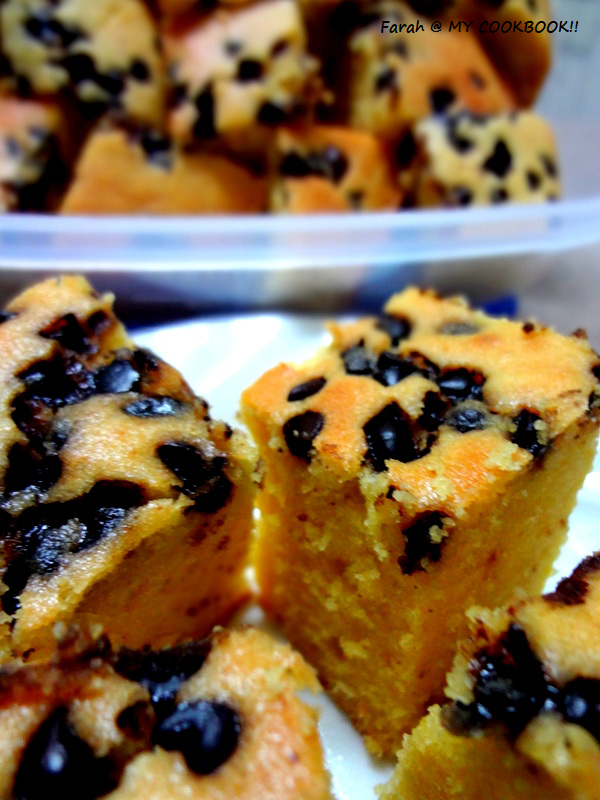 orange and choco chips are deadly... irresistible. Stunning and super soft tea cake. tempting cakes.. so soft and spongy.. Thanks for the lovely comment on my page, such amoist soft tea cake.. I have oranges and choco chips in my pantry... must give it a shot! Fastidious respond in return of this difficulty with genuine arguments and explaining the whole thing concerning that.